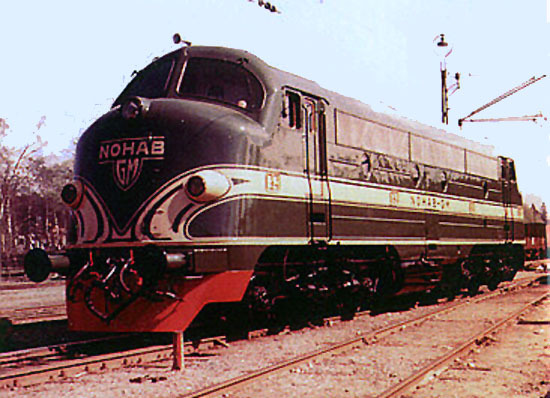 NOHAB AA16 Co-Co 1800 hp. NOHAB photo from Per-Erik Matsson collection. The diesel is NSB di3.602 in demo colours in 1955 when it went to Yugoslavia and Turkey.